Taking her cues from nature, environmental artist, interior and landscape designer, Sandra Adams uses her plethra of experiences to curate spaces that blend a harmony of hues and textures from nature to enliven your home or workspace. Her desire is to reflect the outside world within. No one style fits all. More over, Sandra is interested in designing environments that reveal her client’s unique personality; the way that they live and want to feel at home. We can start from an idea or seed of inspiration, a picture that captured a mood that felt good, a blueprint that has begun to reveal what is waiting to be built, or an existing space which is simply asking to be rearranged. I don’t have any strict design rules that I live by. There are no right or wrong ways to create a space. Rather, together, we can uncover what works and that which speaks to your nature as its your instincts that matter! I’m your guide; you are the teacher. 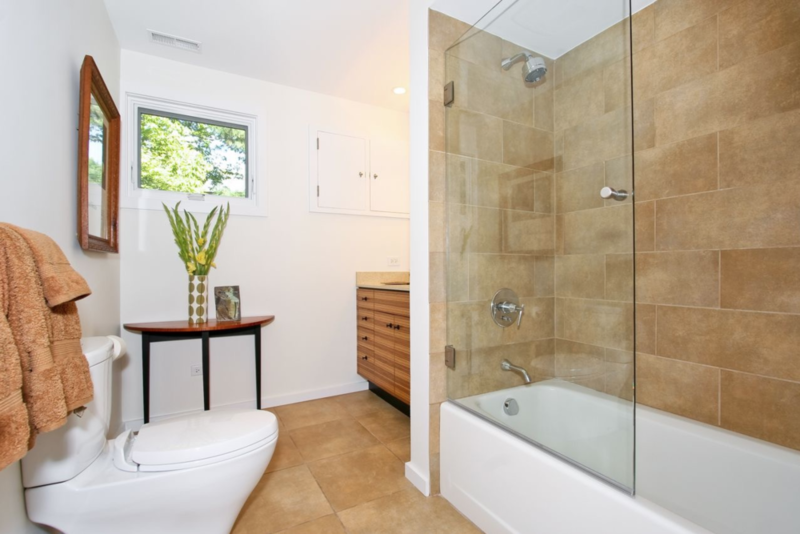 Bathrooms that reflect and use natural materials. Neutral wall space. Collected works. Your home ought to tell a story of who you are, and be a collection of what you love and excites you. Keck and Keck mid-century modern inspired kitchen. Clean lines with nature in view. A private workspace that is just hers! Inspired books fuel the soul and calms the mind.